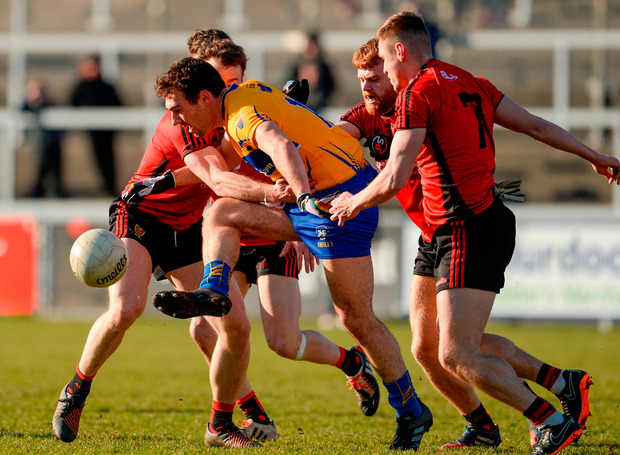 Clare picked up their first league win of the season yesterday, taking full advantage of Down's profligacy in Páirc Esler to boost their prospects of avoiding relegation. 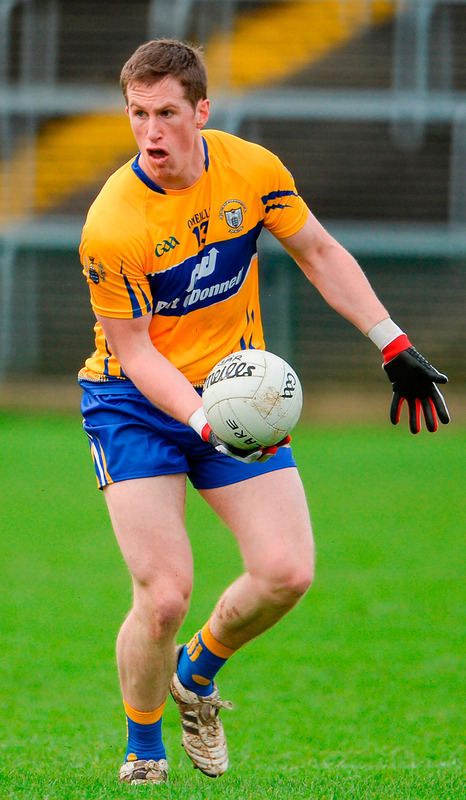 Down kicked 15 wides compared to 14-man Clare's two and their errant free-taking was in stark contrast to the brilliant Eoin Cleary, who kicked 0-7 from dead balls from seven attempts. It included an outstanding sideline conversion from inside the 21-yard line which was the most memorable score of the day. "The confidence was kind of up and when a few go over, nothing fazes you, so I said I'd have a cut off the sideline and thankfully it went over," Cleary said. "I've been practising hard the last two or three weeks and the shots I was missing before went over today. I hope they keep going over the next few weeks." Such is the nature of things in Division 2 this spring that both sides are now on four points and could still be involved in the promotion shake-up, or a relegation dogfight. Although they were never ahead in the game, Down dominated for long spells, but could not convert that on to the scoreboard. They have now lost seven of their last eight home league games. "I don't think it's anything to do with the venue," said manager Eamonn Burns. "We're doing a lot of things right, we were moving the ball well, retaining possession and good support play coming, but today, for whatever reason, we just couldn't put the ball over the bar. "That puts Clare on the same points as us, so the race (to stay up) starts now." Clare were the better side in the opening half and led 1-9 to 1-5 at the interval. 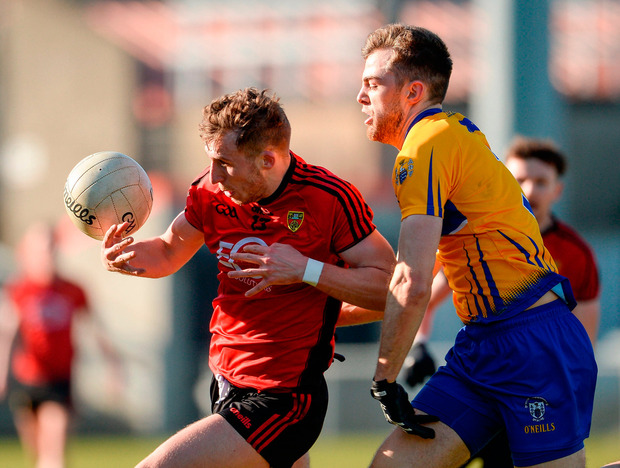 Sean O'Donoghue's goal after 35 seconds was the perfect start for the Banner, but Down responded well and hit four unanswered points to draw level by the ninth minute. The unmarked Donal O'Hare tapped into an open net after Caolan Mooney did all the hard work, with his searing pace and unselfish fisted pass across goal teeing him up for a simple finish after 19 minutes. That left it 1-4 apiece, but it was the last time they were level, with Clare hitting five of the next six points before half time. David Russell - who was sent off in the 54th minute - was booked for a high tackle on David McKibbin, which gave Down a penalty and a way back into the game early in the second-half. However, Darragh O'Hanlon's kick sailed high over the bar.